Make sure you have connected your QuickBooks Payment account to your Financial. Click Customers, Credit card processing activities, Merchant Service center. Verify that you have the correct Merchant Account in the top right corner. Click account, processing information, make sure “Process with mobile payments” is on. Use your GoPayment application that connects to the QuickBooks Payments account listed above. 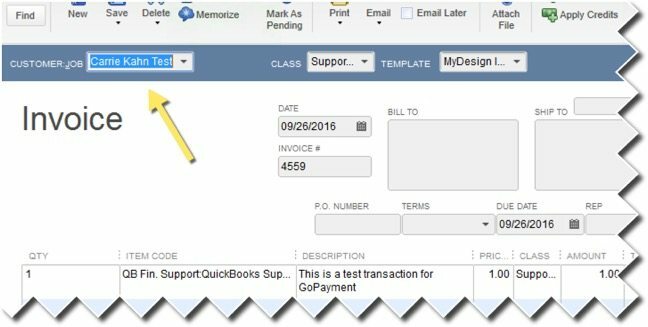 Login using your QuickBooks QB Payments Login. 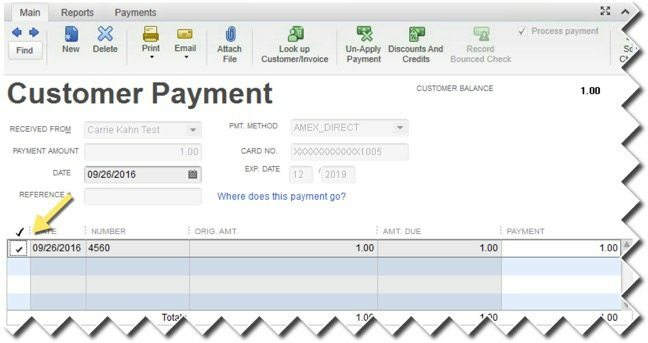 Click Customers, create invoice, save and close. Remember the exact name of this customer as setup in QuickBooks. Under Pending Transaction, you will find the entry. Replace the name with a name from your customer list/exactly as used in invoice. If an invoice exists using that same customer put a checkmark next to correct invoice. Save & Close. Watch our brief how to video here.